This four ton relative of the familiar Triceratops lived in Southern Utah where it browsed the foliage off trees and shrubs along the coastal plain of the Cretaceous Interior Seaway that once divided the North American continent. 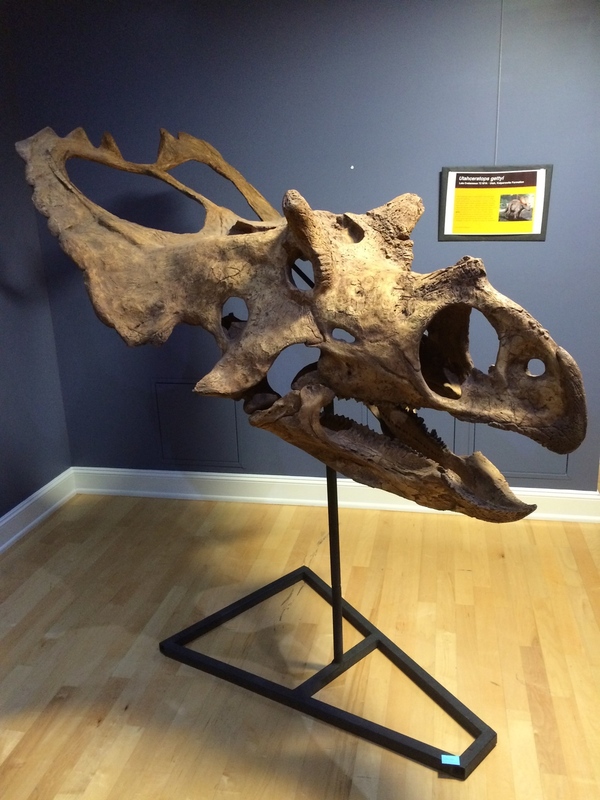 Current research into the bio-geography of these and other ceratopsian (horned faced) dinosaurs like Cosmoceratops is being conducted to help explain trends in dinosaur diversity during the last few million years of the Dinosaur's reign on earth. Other related specimens for displays: Kosmosceratops richardsoni, Terataphoneus currie juvenile, Terataphoneus adult, Deinosuchus sp.